Universal Movie Academy Awards (UNIMAA) is a platform for celebration of excellent work in film, and television from industry professionals around the globe. These include nurturing new talent, and enabling learning and creative collaboration among industry professionals. 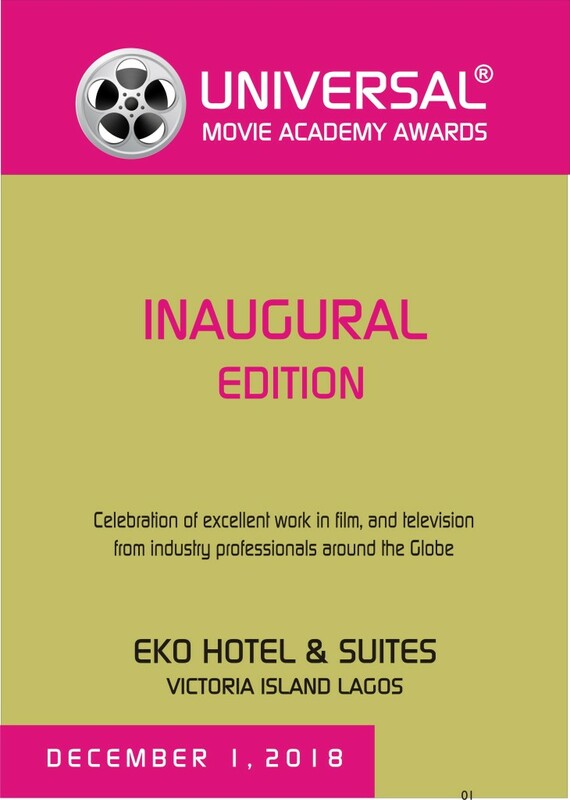 We are expecting film and television professionals from not only our Nigerian film and Television industry but from Africa film makers and around the world to grace the first edition of our unique event slated to hold in December 2018 in Lagos Nigeria.